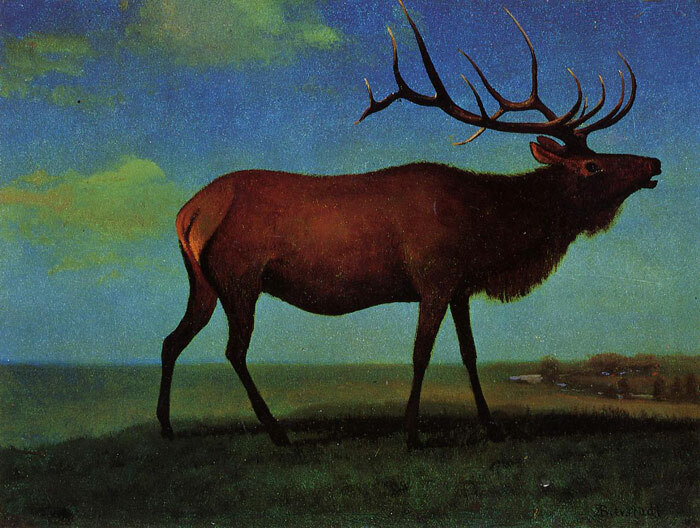 " Elk" is a Bierstadt painting from his first trip out West, in 1861, and is a good exampleof his love for wild animals. It has been given prominent wall space in the Bierstadt wildlife museum. SPECIAL NOTE : The painter will make the reproduction as close to the original oil painting as possible. If you want your painting to alter from this likeness, please email us and " Elk " will be reproduced according to your special requirements.